Conservative and badass just don’t belong in the same sentence except, when you look at this Audi R8. This R8 really does make a new category when it comes to being both conservative while remaining an aggressive sports car at the same time. 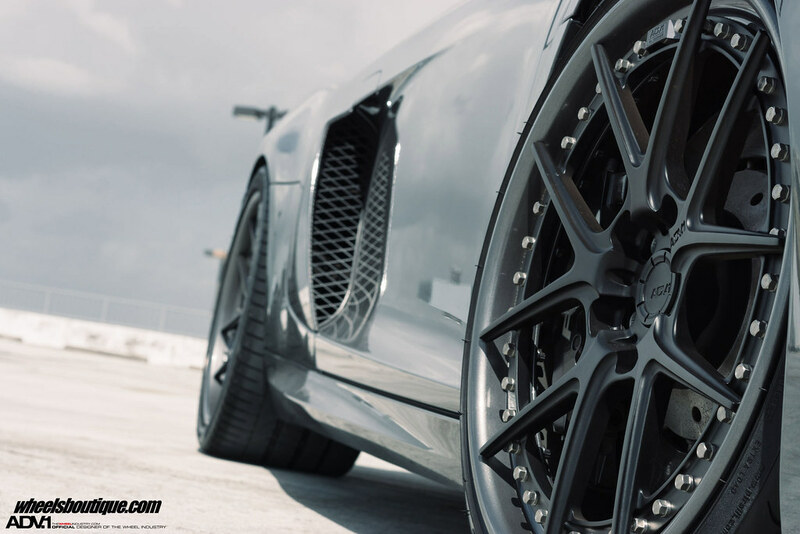 The customer did not want to go with the common 20" wheel set-up like almost all the upgraded R8s out there. 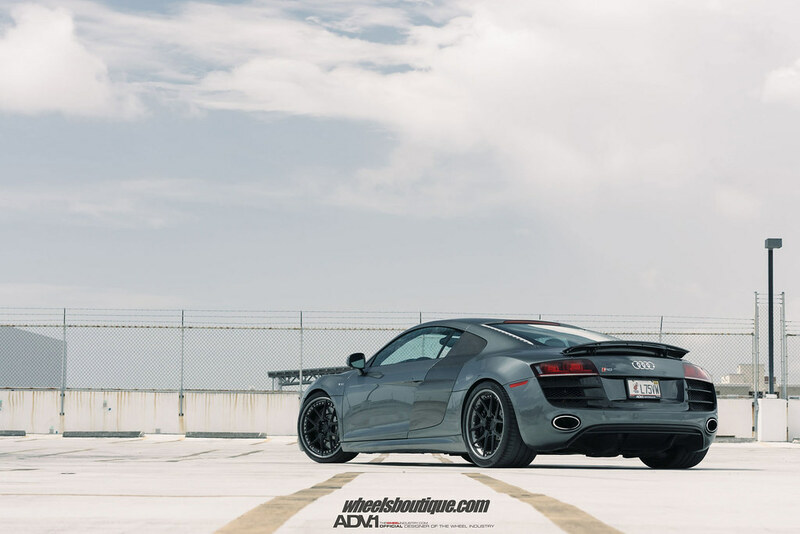 For this special R8 we went with ADV5.0 Track Spec SL in 19"x9" in front and 19"x11.5" out back along with Pirelli P Zero 235/35/19s in the front and 305/30/19s in the rear. One of the reasons for going with 19s is that you can run a taller sidewall that translates to a smoother ride and better traction due to the additional sidewall "flex". The matte black powder coat takes your attention away from the center and the gloss gunmetal lips that match the exterior paint perfectly draw your eye. As always, please lets us know your opinions. Kiwis > Horsies, No Bull! !